Home > TFS	> How to ignore whitespace formatting in merge conflicts in TFS in Visual Studio 2010. 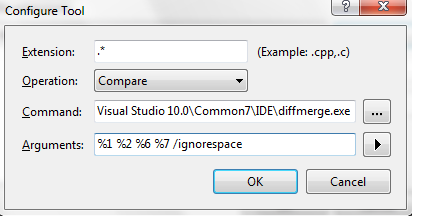 How to ignore whitespace formatting in merge conflicts in TFS in Visual Studio 2010. Hate when you see all Blue because someone reformatted the code? 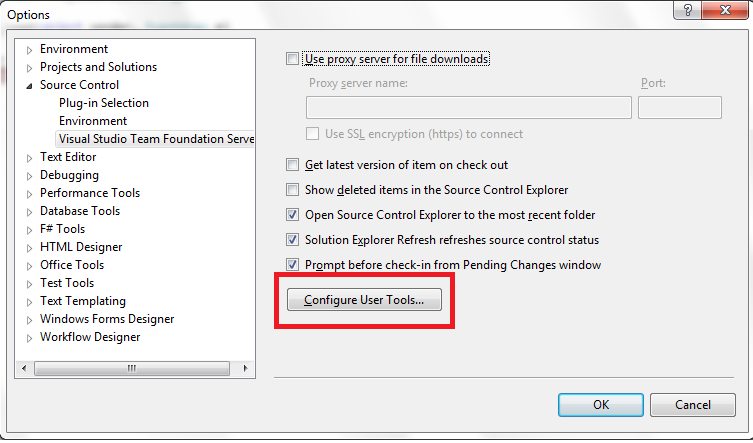 In Visual Studio, select Tools / Options / Source Control / Visual Studio Team Foundation System and click the Configure User Tools button. In the dialog, Add an item with the following settings.